Todd Ligare and Amie Engerbretson on the scenic bootpack above the Stoke chair, Revelstoke. 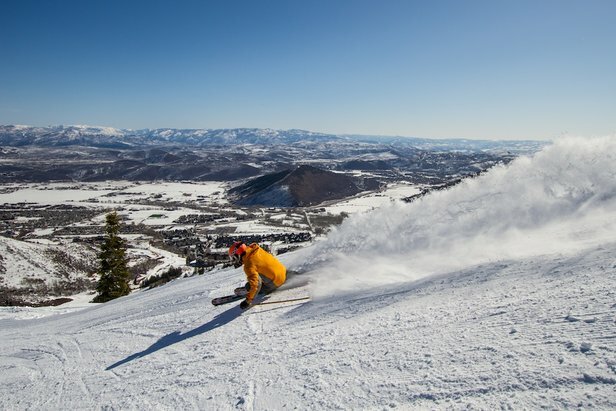 During the peak of ski season, do you suffer from shortness of breath, dizzy spells and nausea? Nothing brings on a good bout of vertigo like standing on the precipice of a 5,000-foot vertical drop and realizing the only way down is via the two sticks on your feet. North America is no stranger to monster descents thanks to the endless rugged peaks found throughout the Northern Rockies. 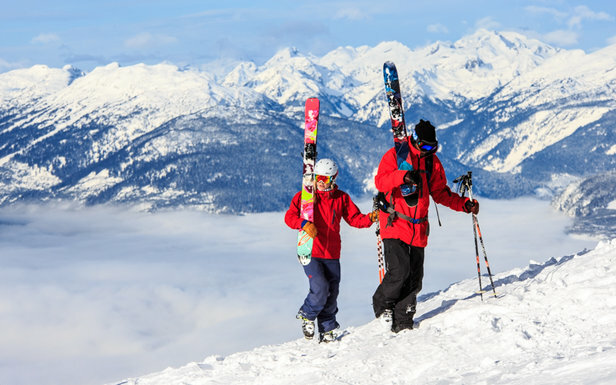 While larger ski areas like Whistler Blackcomb and Jackson Hole rank high among the biggest verticals in the country, a handful of smaller resorts win big when it comes to this coveted statistic. See the infographic below for a breakdown of North America’s biggest ski resort verticals and its longest trails.